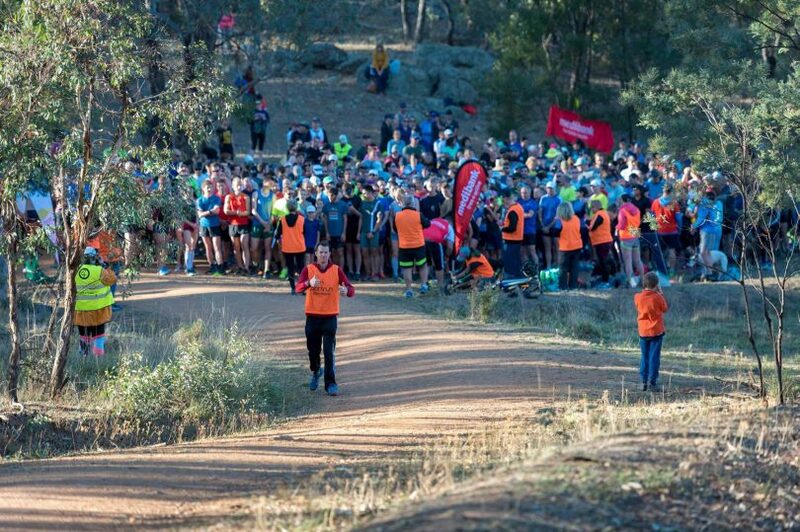 The first Mount Ainslie Parkrun on 28 April 2018. As someone that had been overweight for the last 30, of my 49 years, and recently took some drastic steps to lose weight (I’ve lost 30kg in the last three months and am half way to my goal weight of 80kg – do the maths), I have started to exercise again. The Saturday morning Mount Ainslie Parkrun has become part of my weekly exercise routine. About two weeks into my new walking regime I saw a post on Facebook for a new Mount Ainslie Parkrun that was commencing on Saturday 28 April. So I followed the link and found out that it was a free 5km run (walk, jog, skip … hop) starting at the back of the War Memorial and heading around the base of Mount Ainslie. All you had to do was register, print off your barcode and turn up to the event. After signing up my wife and daughter I continued to receive updated posts leading up to the day. I was really impressed so I dug a little deeper. The first ever Parkrun was in Bushy park, Teddington, UK, where 13 parkrunners got together in 2004. But I digress. Back to the latest Parkrun to launch in Canberra, Mount Ainslie. My wife, daughter and I turned up to the pre-race briefing at the back of the Australian War Memorial at 7:45 am on Saturday 28 April. To our delight there were just over 400 people there for the event. After the pre race briefing, welcome to country and shout out to visiting Parkrunners (Perth, UK etc), we were off! I won’t bore you with the details of my ‘run’ (see walk, plod, drag …). Except that I came in third … in our household of three. 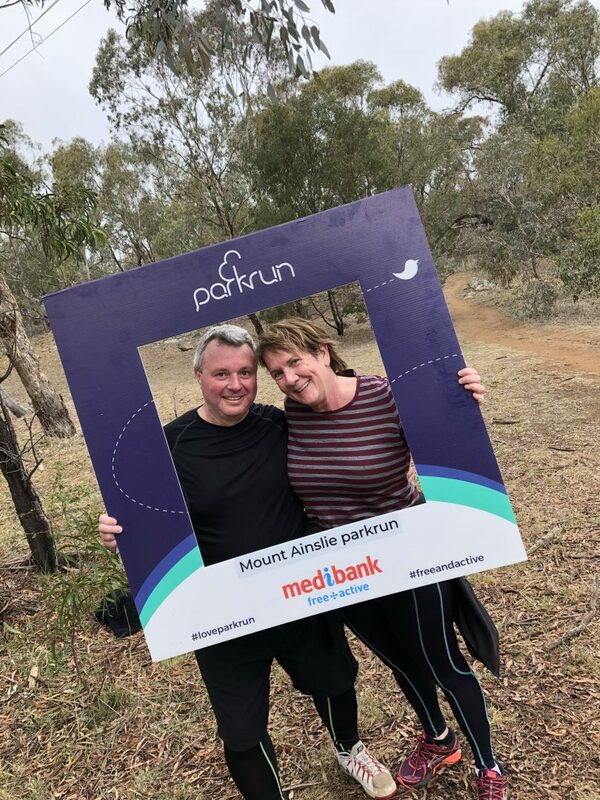 Tim Benson (RiotACT) and Liz Lang at the Mount Ainslie Parkrun. I was hooked. I couldn’t wait until the statistics came out. As soon as we got home there they were: I was placed 408 with a time of 53:48 … after my fourth Mount Ainslie Parkrun I’m now at a best position of 95 at a time of 45:10. I’ll be there this Saturday and the next … so come on down and join me and the ever growing number of Parkrunners in Canberra and around the globe … register now. Yes it goes up and down a bit, but it it is very beautiful up in the reserve. Everyone has been incredibly supportive and encouraging. Sounds great! Is there anything around the Woden area? Great story. Keep up the good work! Wonderful story Tim. Very inspiring! I now want to go on a Parkrun except I really don’t like that time of 8 am on a Saturday. Can someone please invent one for late afternoon...please please.